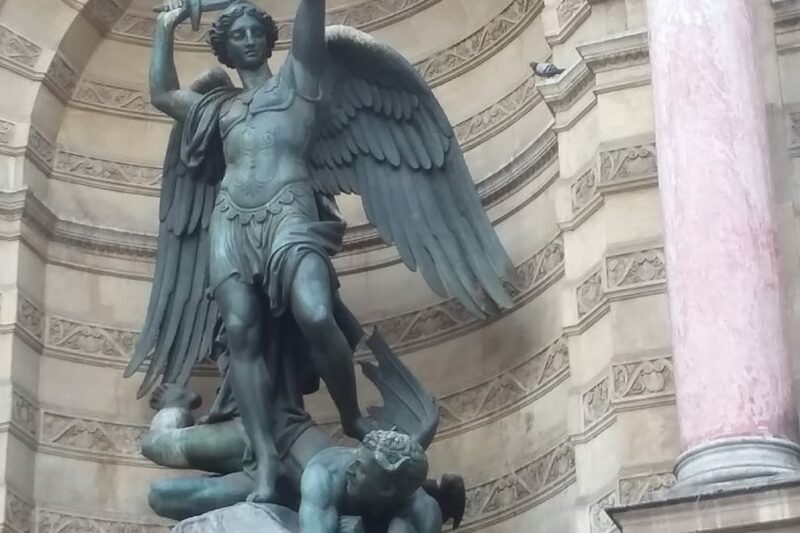 This statue is on la Place St Michel in Paris. This statue is in honor of the veterans of the French military. 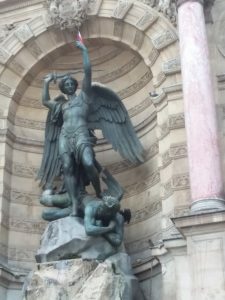 The angel is a servant of France and the devil beneath his feet represents France’s enemies. There are many statues like this across France in honor of past wars that took place on the soil of France.